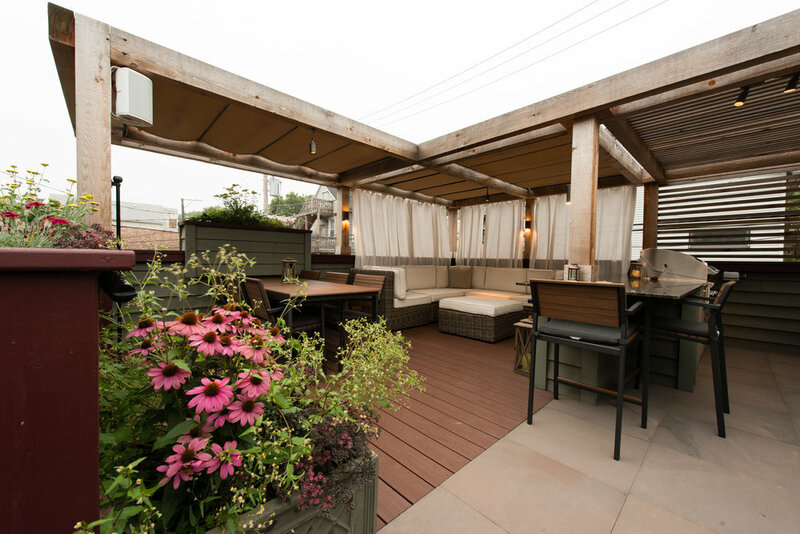 This custom roof deck is also an outdoor kitchen and bar. 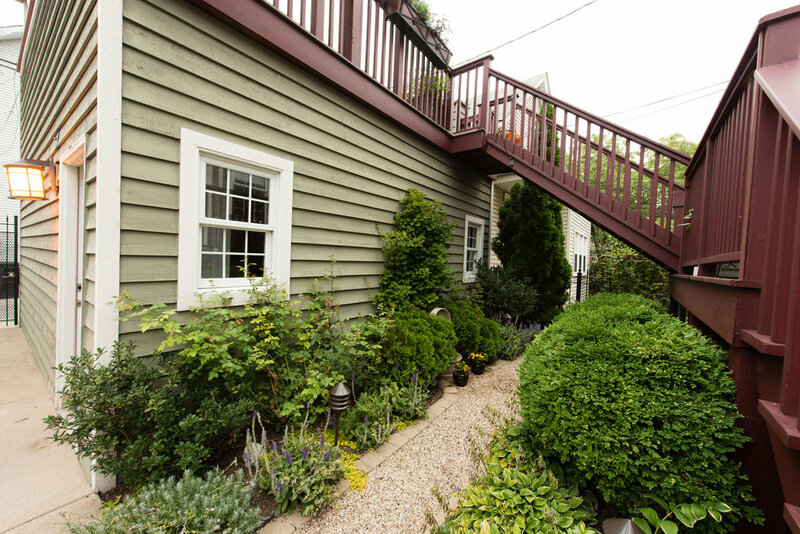 We designed this outdoor space to be an extension of the livable home. It features retractable outdoor canopies, and the curtains provide a cozy enclave among the urban surroundings. 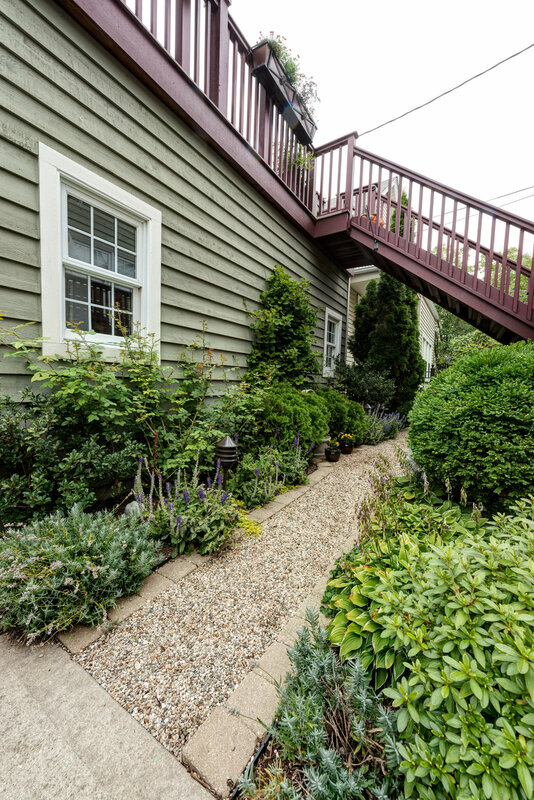 Boxwoods, hostas, and annuals line the backyard pathway, staircase and the roof deck, bringing more beauty to function.